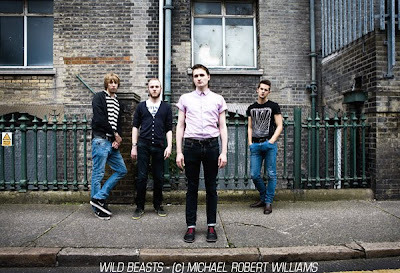 WWW.MICHAELWILLIAMS.CO.UK: Recent Work; 'Wild Beasts' Shoot. 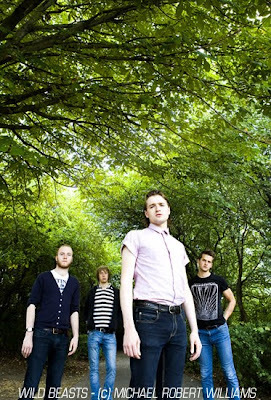 Recent Work; 'Wild Beasts' Shoot. 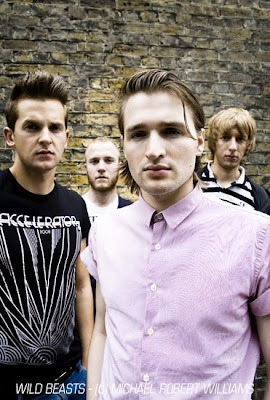 These are a few portraits from a quick session with Wild Beasts recently. They were about to head off to do a live radio interview that came up so we shot fast in about 20 minutes outside in Hackney, East London. Its never ideal having to really rush a shoot but these came out OK. Not time to really experiment with more backgrounds but I do love the trees rising up behind them. Great band - Their 'Two Dancers' is one of my albums of the year I think.